Nickel plated small identity tag with pink enamel and sparkling crown. Pamper your Princess with this fashionable and necessary accessory. 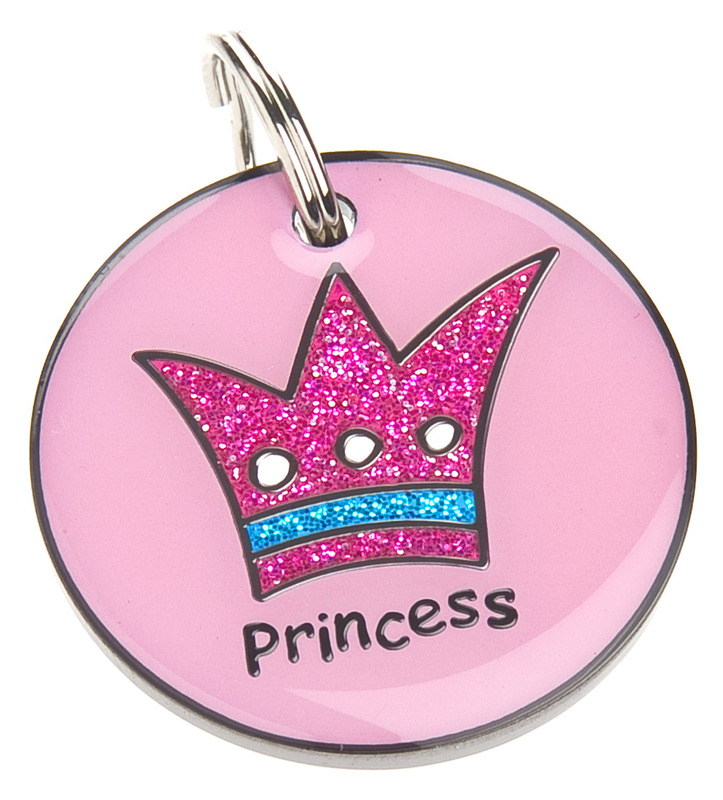 A charming gift for your four legged friend with this sweet pink tag accented with a sparkling crown. A sturdy nickel plated identity tag with pink enamel. 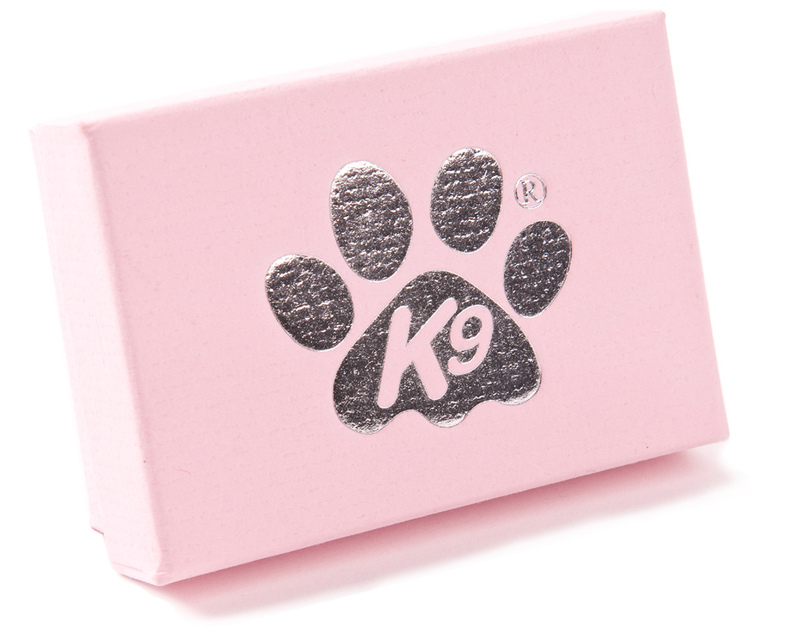 Each tag has a resin outer coating for increased durability, a split ring and is presented in a smart gift box with silver printed K9 logo.